Diogo - member of the Show Maior group in Oswaldo Cruz. That year - they had picked up Saint George - killing the Dragon - as a theme for their Bate-Bola. 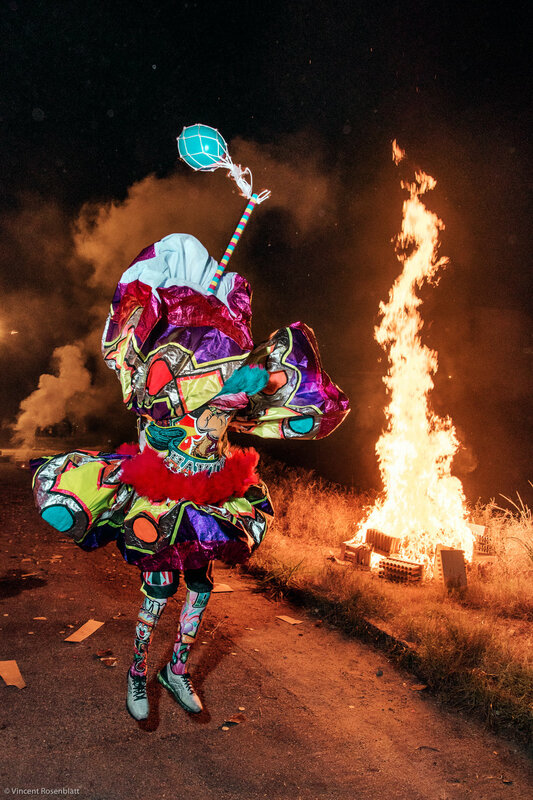 In Afro-Brazilian religions as Umbanda & Candomblé, São Jorge corresponds to the Orixa Ogum, divinity of War. Parade of the Enigma group, Carnival 2017 - in Marechal Hermes, North Zone of Rio de Janeiro. Playmobil was the inspiration theme. "É o Poder" - It's the Power ! Bate-Bola group from Jacarepaguá, West Zone of Rio de Janeiro, showing off in Oswaldo Cruz, territory of other groups. Parade of the Turma do Indio 2017 - Guadalupe, North Zone of Rio de Janeiro. 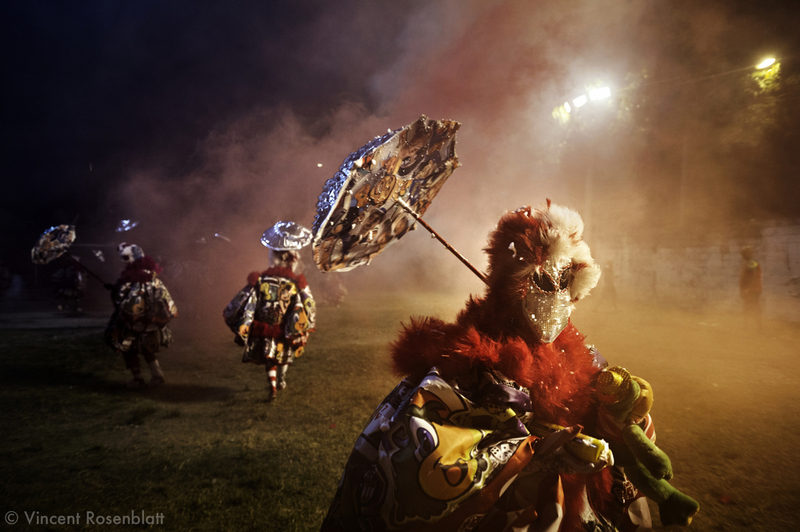 The Indio is one of the most ancient and respected group of Carnival Clowns of Rio de Janeiro. That year, they inspired themselves from Ancient Greek myths for their costumes. Havita is one of the most ancient Bate-bola group in Rio de Janeiro; with nearly 30 years of existence. They often parade with 150 members - it's also one of the largest group of RIo. Their party on Sundays of Carnival is the meeting point for dozens of rival groups from the neighborhood to show of their costumes. 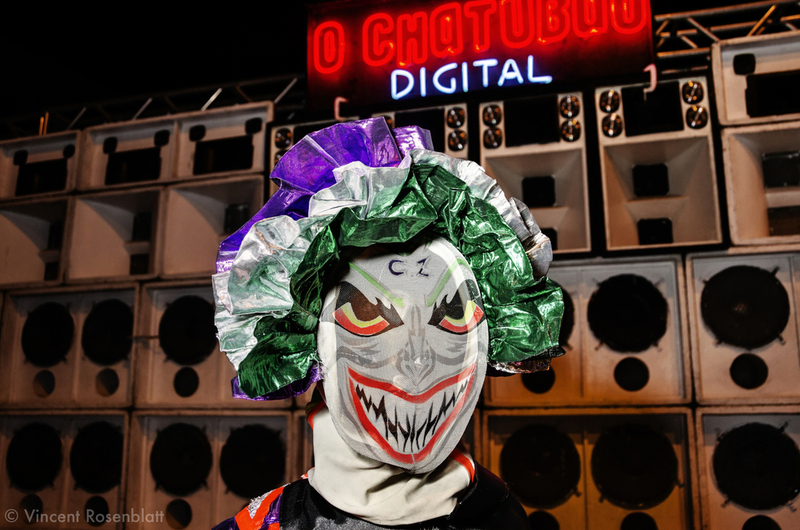 Preparations for the show of the "Amidia" group of Bate-bola (Carnival clowns) - Olaria, North Zone of Rio de Janeiro, 2017. Old fashioned retro-styled Bate-Bola, favela of Muquiço, North Zone of Rio de Janeiro, Carnival 2018. Retro Bate-bola are a tendency since the economic crisis in Brazil. "Havita" group of Bate-Bola, Oswaldo Cruz, North Zone of Rio de Janeiro, Carnival 2018. 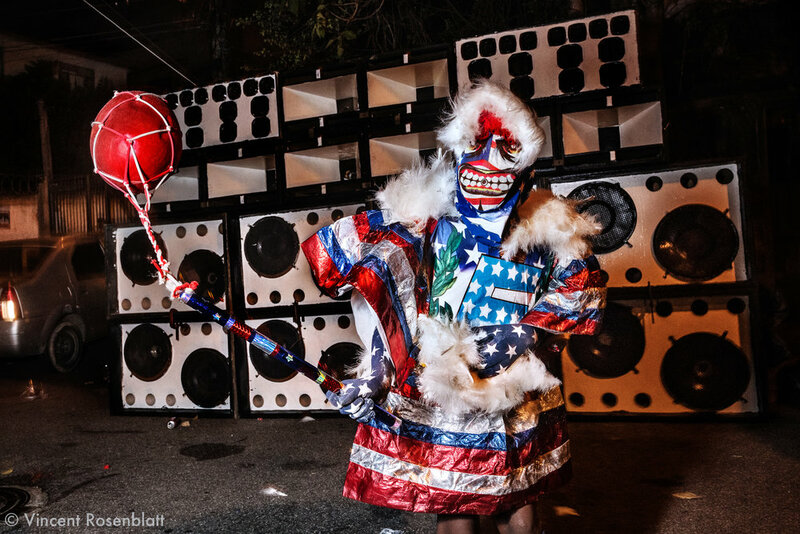 Yong Bate-Bola kid wearing an USA inspired fantasy at the Faz Quem Quer favela, North Zone of Rio de Janeiro, Carnival 2018. Baile Funk soundsystem in the background, as Funk Carioca is the main soundtrack for the Bate-Bola. Sleepy & exhausted young man, in the Center of Rio de Janeiro, after 5 days of Carnival as a "bate-bola" clown. Tuesdays of Carnival, the cityhall organize a competition for the most beautyfull clowns, in Cinelandia, Centre of Rio de Janeiro. Preparation of the show of the Enigma group, Carnival 2017 - in Marechal Hermes, North Zone of Rio de Janeiro. Playmobil was the inspiration theme. "Skull of the Governor's Island" - Caveira da Ilha - Group of proto Bate-Bola, Ilha do Governador, North Zone of Rio de Janeiro, Carnival 2018. Simpler and much cheaper than the actual Bate-Bola, they represent how the suburban scene looked like more than half a century ago.. In the background, the Center of Rio de Janeiro and the Sugarloaf.